I remember mornings with papas con huevos (potato and egg tacos), frothy orange creamsicle shakes, sizzling bacon and slices of toasted English muffin bread with homemade jam. Quite the mix! There were always baked goods in our house and coffee cake was a favorite. 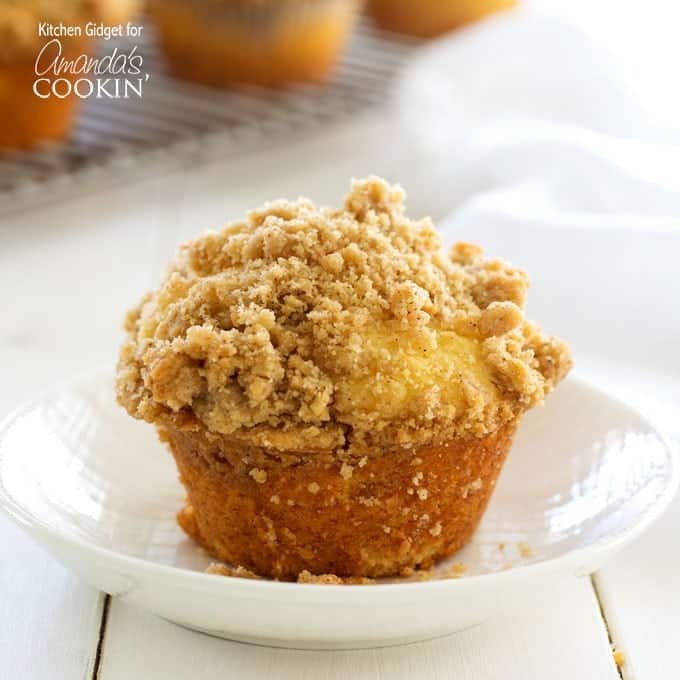 The only way to improve upon coffee cake is when it’s in a cute, individual portion like these cinnamon streusel muffins. 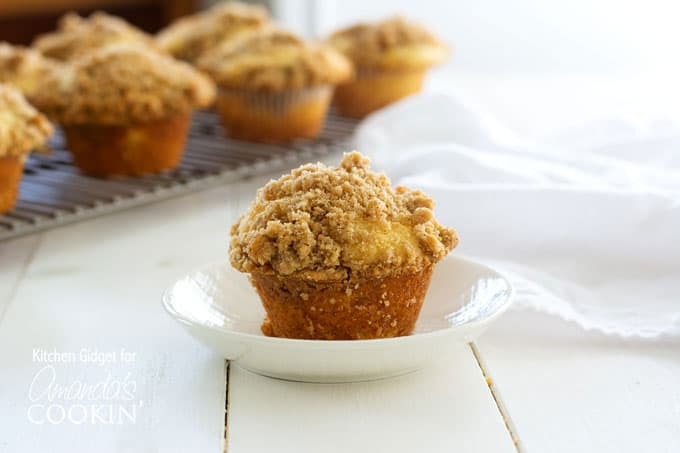 These cinnamon streusel muffins are much like a cupcake in that they start off with a creamed butter and sugar base. When adding the dry ingredients, do not over mix. This is will help ensure your muffins are tender. When making the streusel, I like to use my hands to incorporate the butter. The mixture will hold together in clump when squeezed if properly mixed. One of my favorite things to do when baking muffins is to make extra and freeze them for later consumption. I individually wrap them in plastic wrap and place them in a freezer bag. Then on mornings when I’m in a rush, I can grab a muffin on the go and it’s thawed by time I get to work. Sometimes I warm it in the microwave for ten seconds and it tastes fresh baked. Alongside a hot cup of coffee, it is five minutes of peace before a busy day begins. 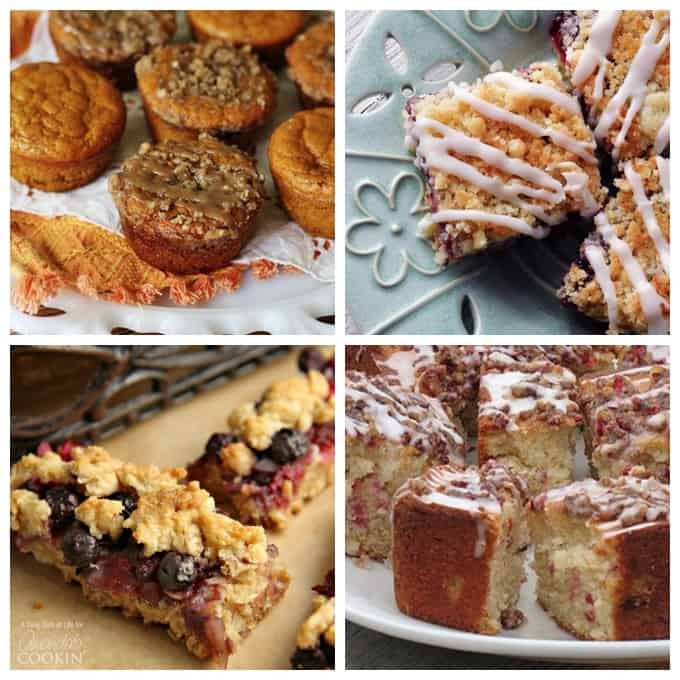 If you’re a fan of that delicious crumbly topping called streusel like I am, here are some more recipe ideas you will probably enjoy! Pumpkin Mini Cakes are moist and delicious and will help you ring in the fall season. These Cherry Berry Streusel dessert bars are one of my all time favorites and they are easy to make too! Packed with fresh berries, you’ll love these berry cookie bars, great for after school. Speaking of fall, one bite of this cranberry streusel coffee cake and you’ll be hooked. 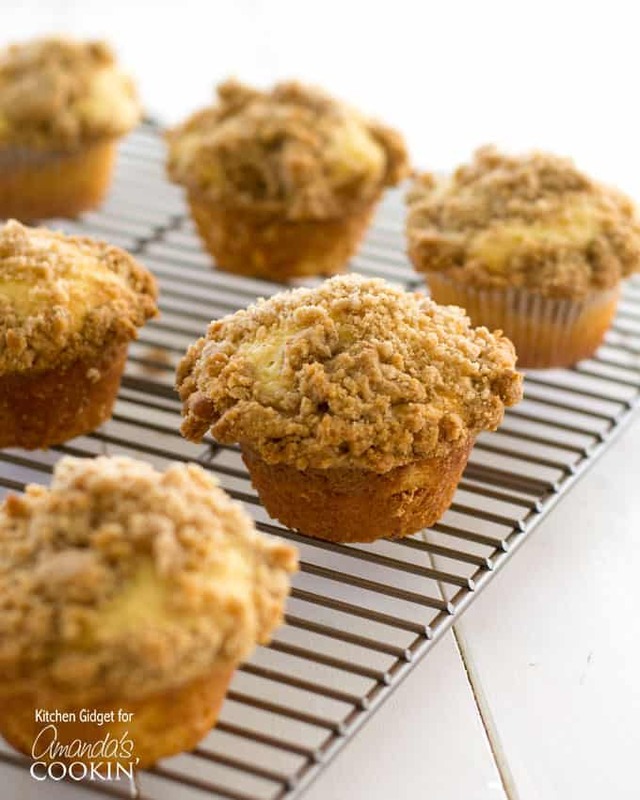 If you love coffee cake, you'll love these cinnamon streusel muffins! Soft vanilla muffins topped with brown sugar crumbles. Perfect for a weekend brunch or breakfast on the go! 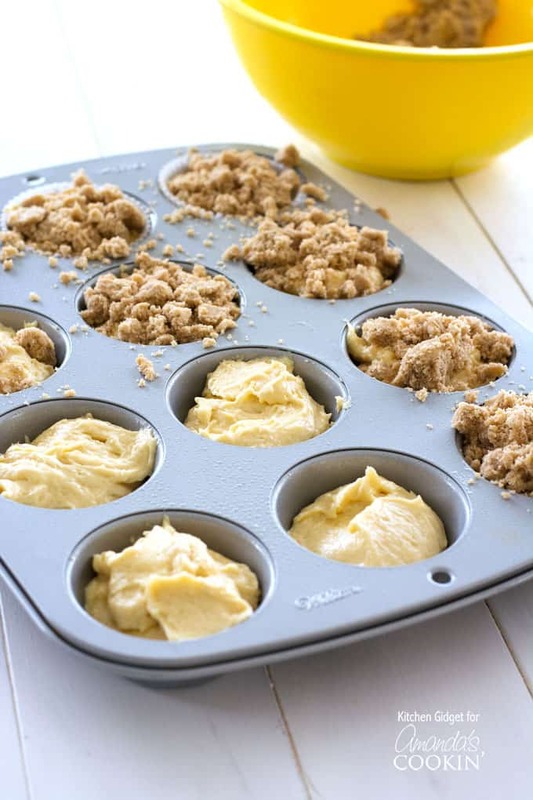 Scoop batter into prepared muffin tin. Cups should be about ? full. Sprinkle generously with streusel topping, pressing down firmly on the tops to ensure that it sticks. I filled the muffin cups up as full as I could with streusel and I still had half a bowl of streusel left over. Are the measurements correct?? Hi Linda, I’m sorry you had so much leftover. There should be a lot of streusel for these muffins, but not half remaining. I will double check this, thanks! How long the cinnamon muffin stay fresh? These muffins look perfect! I think these would be gone in no time at my house!Thanks for this recipe.